The tumult of the battle over, Sgt. 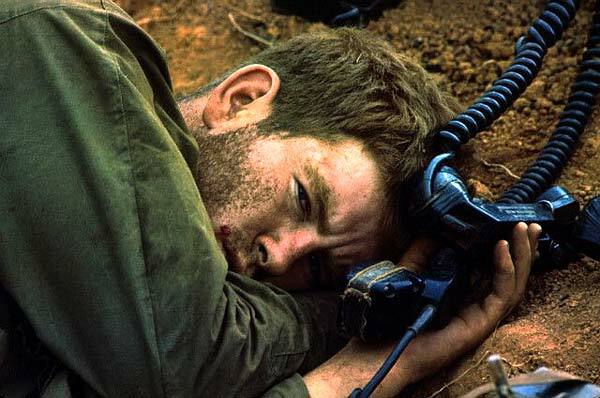 John G. Sheehan of Boston, Massachusetts, radio still switched on and pressed to his ear, takes a well-earned rest atop Hill 875 following its capture by elements of the 173rd Airborne Brigade, November 24th, 1967. Conquest of the hill ended five days of what some consider the bitterest fighting of the Vietnam War.